I was on the lookout for other muffin ideas and this sounded rather yummy and interesting. Peanut butter and jelly! A winning combination as sandwich spread, must be great in muffins too! 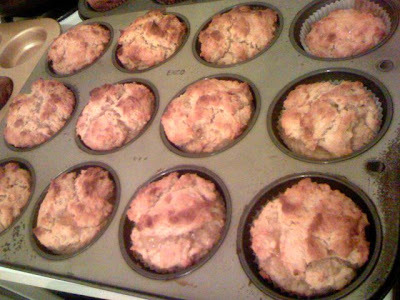 So I tried this recipe courtesy of My Mum's Muffins. It was goooood. Peanut butter flavor with jam filling inside! Mix flour, and sugar in a bowl and make a well in the centre. 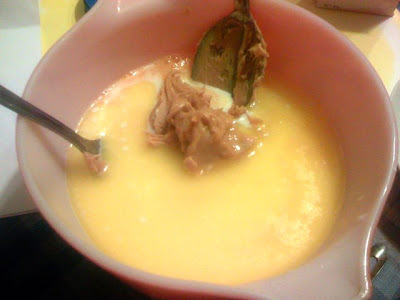 Mix the egg, peanut butter, butter and milk in another bowl. Pour the egg mixture into the flour mix and fold in with a fork. 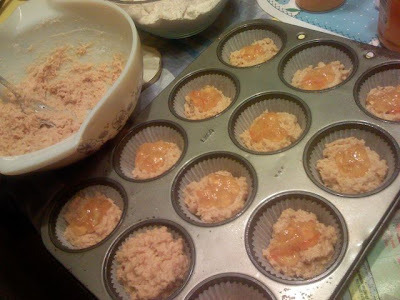 Do not over mix.. it just has to be wet mostly through, it doesn't even matter if there are small areas of flour about. 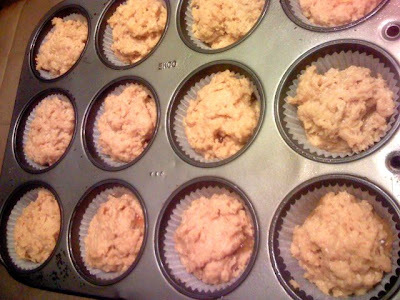 This is the main secret to good muffins. Spoon the mixture into the tins, filling each one about 1/2 way. Then put a teaspoon of jelly / jam in the centre of each and top with more batter to make each 2/3 full. Bake for approximately 15-20 minutes. They are ready when a skewer comes out clean (except where it hits jam of course!). These are nice warm but watch out for the jelly / jam being hot inside!